In the life cycle of a butterfly, it starts out as an egg that turns into a caterpillar. It then becomes a cocoon before it turns into a beautiful creature capable of fluttering free through the skies. 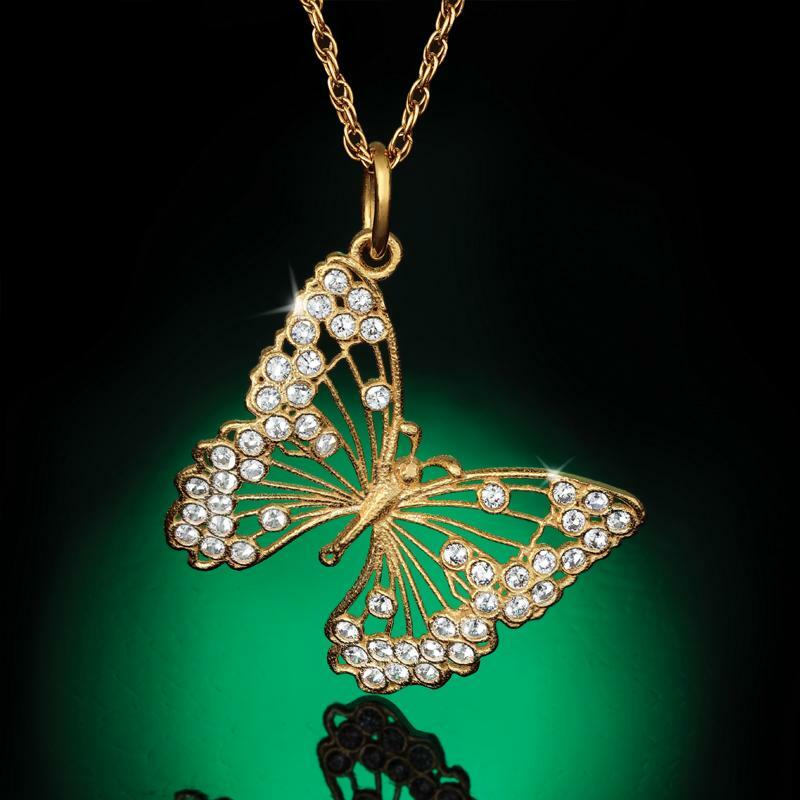 It’s the butterfly’s amazing ability to transform that inspired the Mariposa Collection. To create this collection we sought out artisans who are experts at metamorphosis too. And, we found them in Arezzo. Alessandro Bartolini started his company over 25 years ago, and ever since his team of talented artisans have created stunning jewelry from fusing classic and modern techniques. In the Mariposa Collection the artisans have successfully transformed precious metal into fanciful butterflies with intricate wings that sparkle with shimmering lab-created DiamondAura® stones. We’ve transformed the price into a thing of beauty as well, making it easy for you to let her know how her love has changed you for the better.